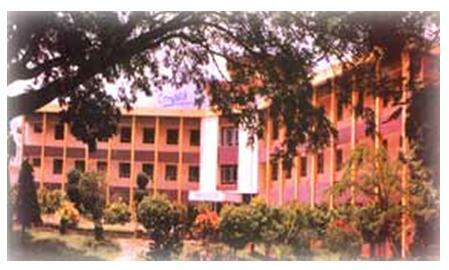 Established in the year 1963, the SIT (Siddaganga Institute of Technology), Tumkur, is in the list of the 130+ educational institutions, which are run by the Sri Siddaganga Educational Society. SIT started with three Courses, Bachelor of Engineering in Civil, Electrical and Mechanical Engineering, and now offers 12 undergraduate degree courses. In addition it this it also offers  6 post-graduates programs, including MBA and MCA Courses. About 4000 students doing the courses with faculty strength of about 250. This Institute is associated to the Visveswaraya Technological University, Belgaum and has been granted permanent affiliation to SIT. The SIT comes under the 14 top listed Engineering Colleges under the TEQIP (Technical Education Quality Improvement Program). TEQIP is a project started by World Bank; it is governed by the Government of Karnataka in the state. Spread over an area of 65 Acres, the institute has a sprawling play ground for indoor and outdoor games. It has playgrounds for sports like football, cricket, basketball, etc. It has 8 Hostels in all that accommodate nearly 2000 students. S.I.T. has 5 Boys Hostels, 4 of which is inside the campus and 1 out in the town, and 2 Girls Hostels, located in the town and another Girl's Hostel with a capacity of 290 is under construction, nearing completion. The management of each hostel block is under the supervision of a Deputy Warden who is a faculty member of S.I.T., assisted by managers and workers. Each room in all the hostels is provided with cots, tables, chairs, book racks and a ceiling fan. There is also accommodation provided for parents and guardians of the students if and when they visit college and desire to stay during their visits. The mess facilities in the hostels are also available for them if they so desire. Two cultural festivals SPANDANA and HALCYON are organized for three days in each semester of the year. Students from various technical institutions in Karnataka State participate in these festivals, which include a variety of items like English & Kannada debates, Quiz, essay writing, mimicry, dance, drama, etc and are aimed at increasing the friendship and exchange of ideas among students of different institutions. The alumni over the years have been a mixed breed of professionals each giving back fervent support to whichever field they belongs to.